I have been wanting to do this project for a while. I had leftover wallpaper from our kitchen nook and hallway, and I just couldn't let it go to waste. This project is really simple. All you need is some plastic placemats from the dollar store, wallpaper, scissors, and spray adhesive. I picked up these placemats at the Dollar Tree. 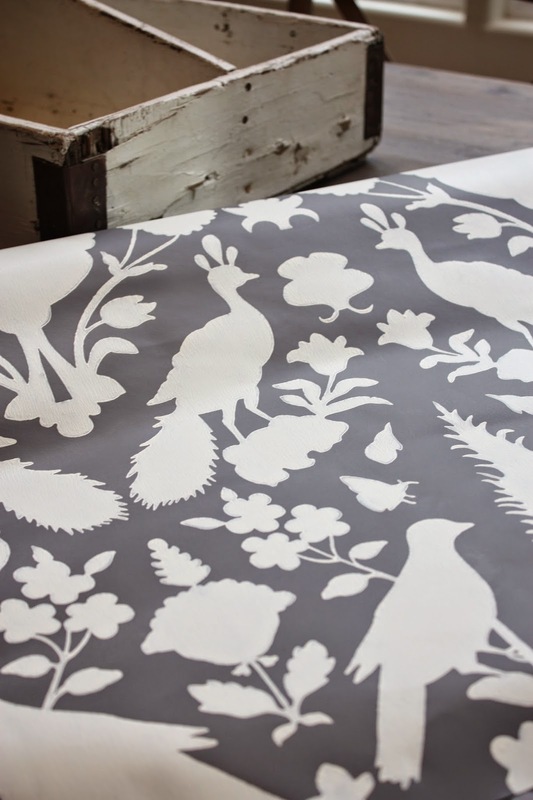 Then I rolled out a section of wallpaper…. I flipped it over and traced each placemat onto the back with pencil. 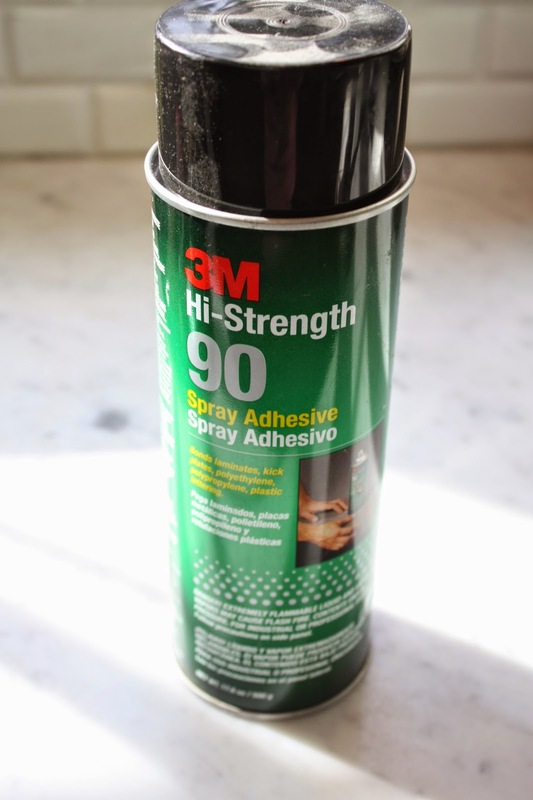 If you craft a lot, this is a must have product. I use it for a lot of things. 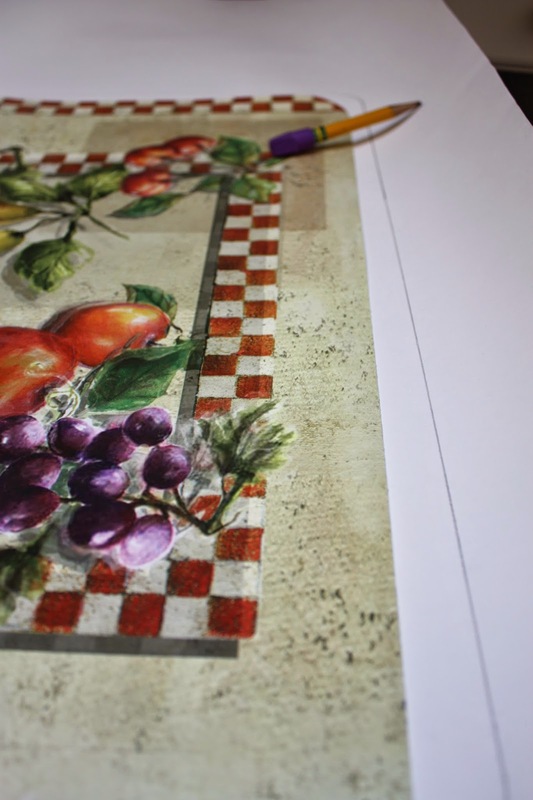 spray the top of your ugly placemat covering the whole area and paying special attention to the edges. Set aside and then do the same to the back of your wallpaper. Set aside and let sit for about a minute. While this is sitting, go ahead and cut your next wallpaper piece out. The carefully working from one end to the other, smoothing as you go, adhere the two together. These only take a few minutes to make. You can literally make them while dinner is cooking and have them ready by the time you sit down to eat. and the beaded plates are from the Dollar Tree as well. The rest is thrifted ironstone. Looks great. I love that you shop all over town! Lovely placemats! 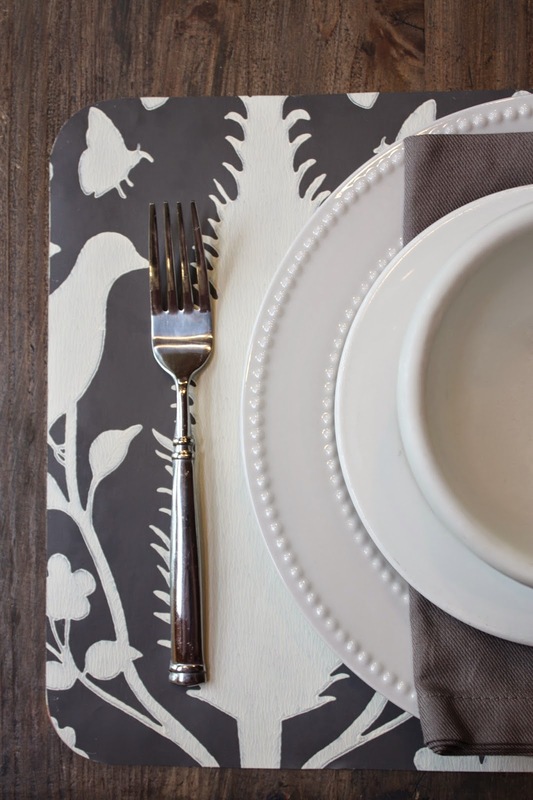 Question - is the wallpaper on the new placemat protected with anything or do you just use them until a spill occurs? Also did you use an exacto knife to cut the wallpaper or a special tool? Thanks! This particular wallpaper has a finish on it where you can just wipe it down with a damp cloth! Haha! I know, I was a little embarrassed to be buying them in the first place! 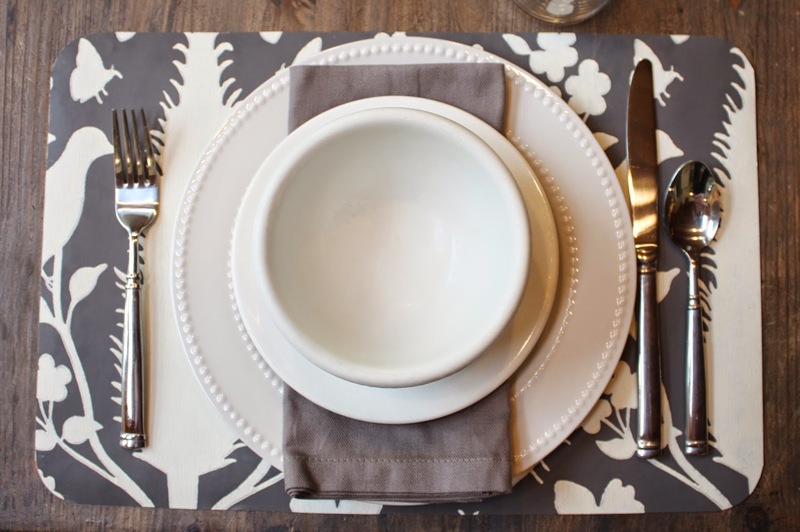 Love this post...the placemats turned out great. I also love that not all of the projects you post do not cost a lot of money....love the beaded plated from the dollar store.... thank you for a wonderful blog it keeps me coming back time and time again. Your home is beautiful! I have 18 of those beaded plates from $$Tree...I bought all my store had and then had my sister get me 6 salad bowls (all she could find)...they are almost identical to the ones at PB! I have always loved your wallpaper since you had it installed in your nook last year but isn't it quite expensive? I wonder if I could find something similar a little bit less? That wallpaper is calling my name.... Gorgeous genius as usual! Great idea! I am desperate for new silverware and haven't found any I like. I do like yours! Can you tell me the brand and pattern name? Thanks!